Expand your living space. In a minute one person can silently crank out the awning for cool shade and rain protection. 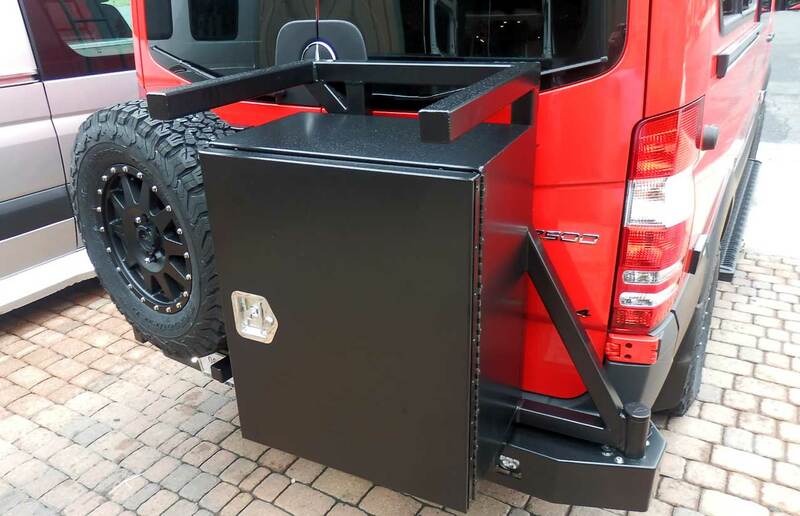 Support legs drop down or can be attached to side of van, canopy angle is adjustable. 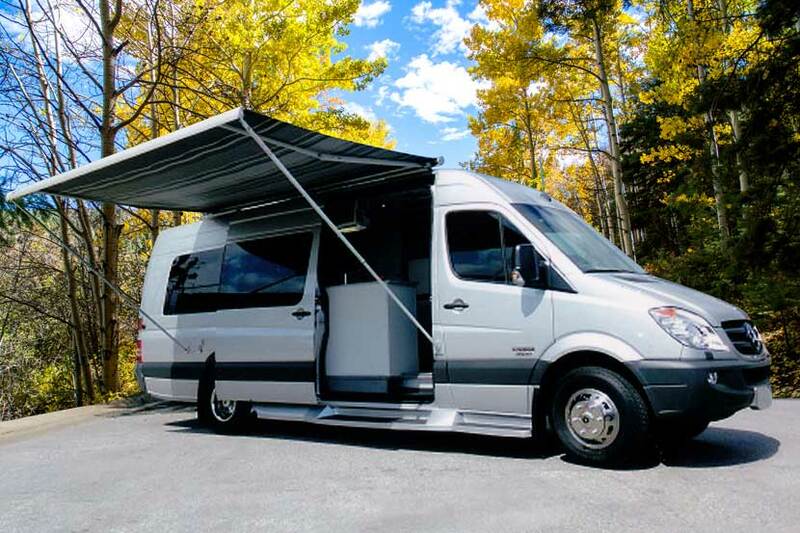 The canopy is seamless and will not fade. It will not rot — you can crank it in when it’s damp. The aluminum case is available in white, titanium, or black. Features: For good looks. Easy entry non-slip. 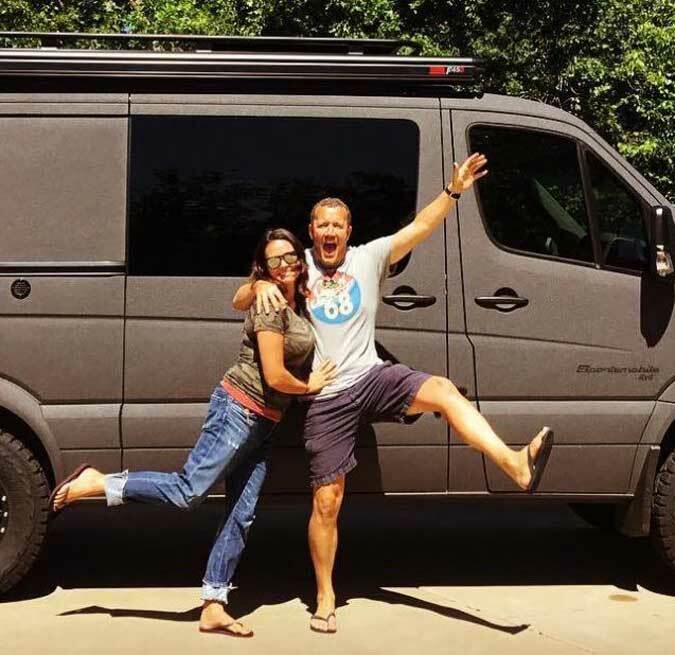 Help protect van sides. Tough single piece fiberglass construction. 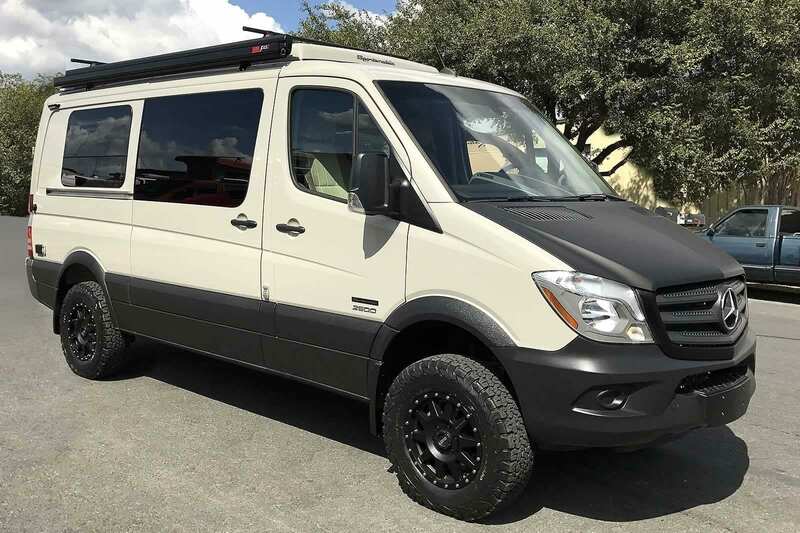 Painted to match, or contrast with van color. 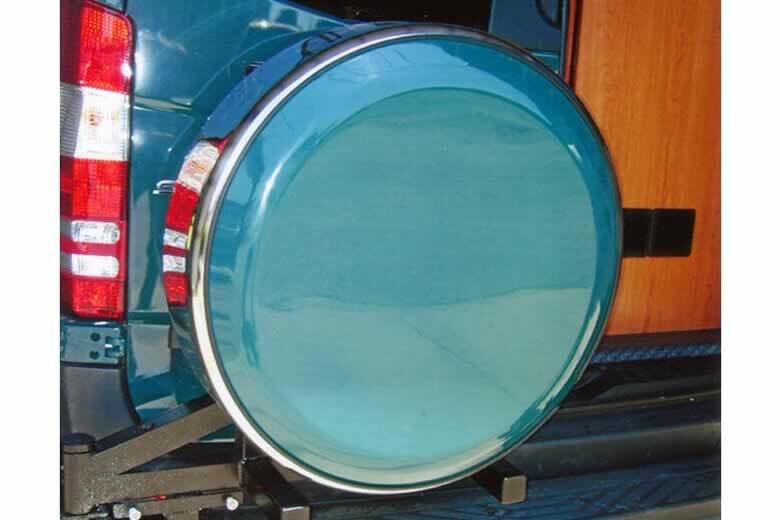 Features: 6″ x 2 3/4″ Anodized T-6 Aluminum “Oval” Step. Satin or Black Anodized Finish. Large Step Pads are “No-Break” Polypropylene. Brackets are Black Powder Coated Steel. Features: Non-slip step. Corrosion resistant cast aluminum. Aluminum or Black powder coated. Features: Fully automatic | Anti-Pinch | Non skid | LED system included | 450lb load rating | Available in 68″ or 79″ length | 3 year warranty. 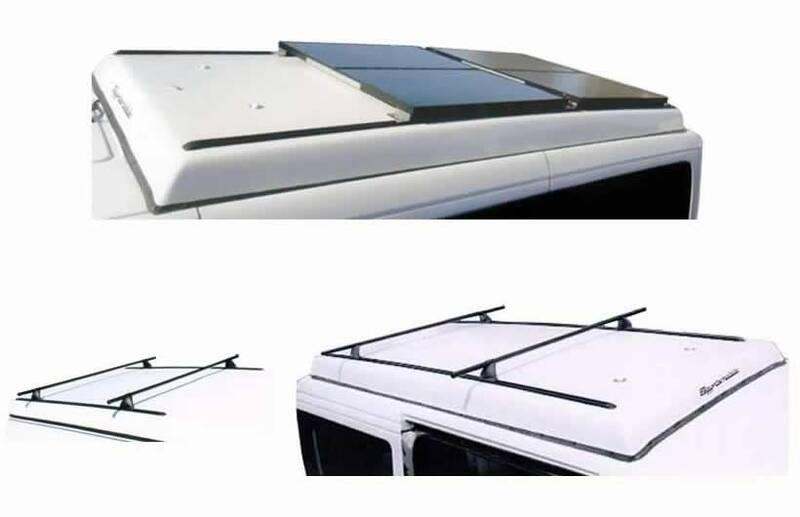 Features: Roof tracks available 6′ long, use 2 for 12′, or specify full van roof length – up to van’s cab. 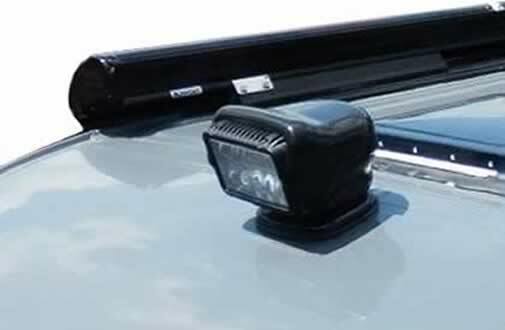 Also available – roof cross bars. Cross bar support towers: See thule.com for more info. Also see Aluminess Roof Rack. Features: Light duty for occasional use. 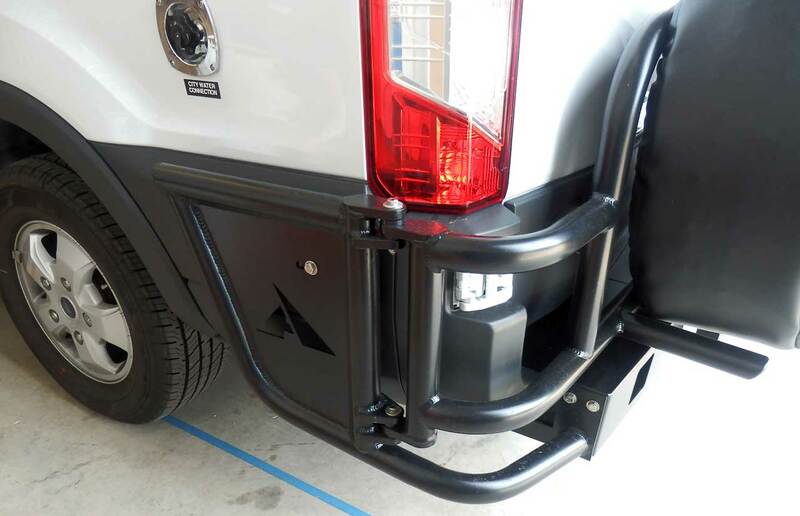 Aluminum or black powder coating. 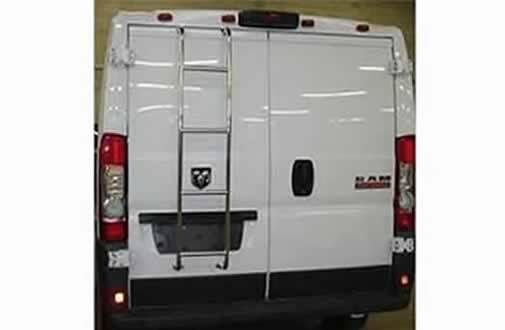 For a heavy duty van side mount ladder see Alumness Ladders. Note: rear door mounted ladders are not approved by Mercedes for Sprinters. Features: 10 High Flux LED’s | Wireless or Hardwired Remote Control | 37010° Rotation X 13510° Tilt | 320,000 Candela, Max Beam Distance 3,711 ft | 2.8 amps | 810° Beam Angle | 40 watts | 5-year warranty. UV resistant. Will not fade, chip or scratch. Stone resistant. 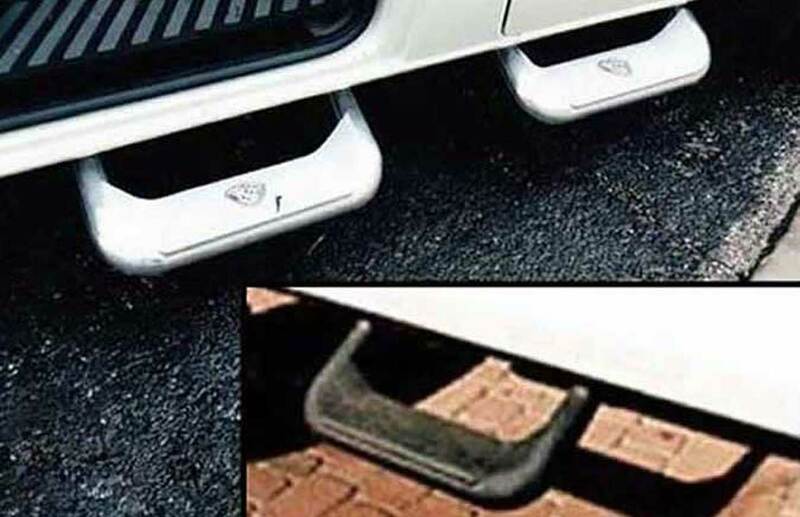 Helps deaden sound and vibration. 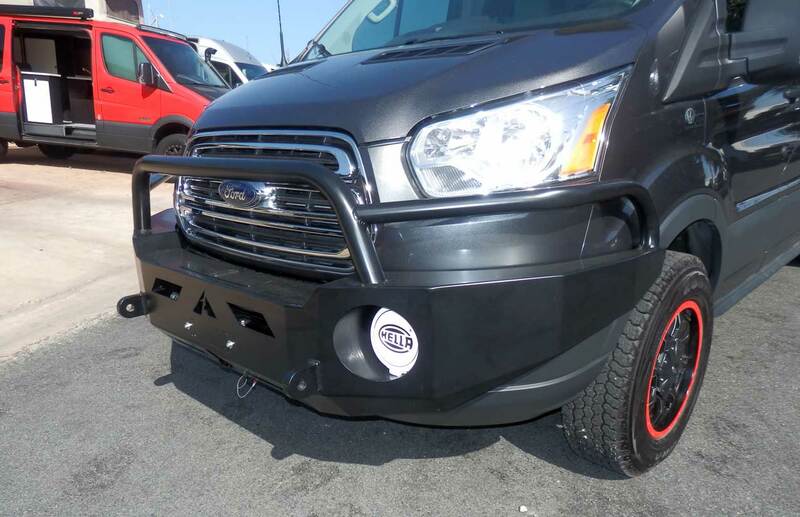 Black standard, or can match van color. 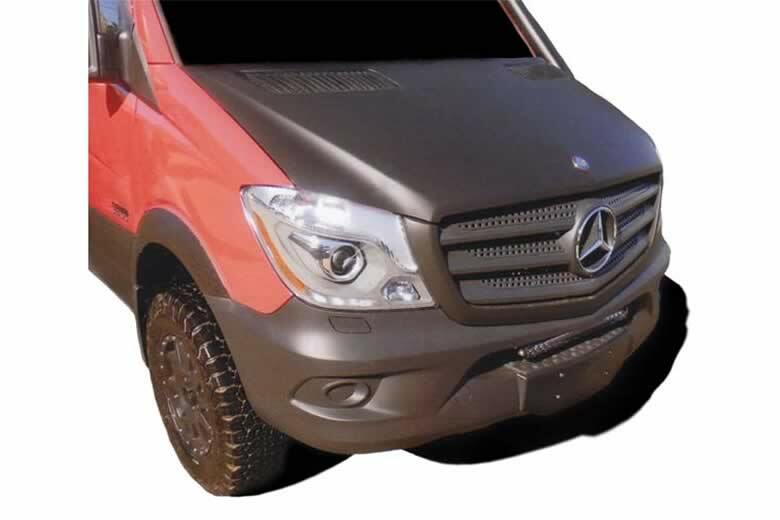 Note: Sprinter upper side panels also painted. Features: 3M wrap. Removable and replaceable. 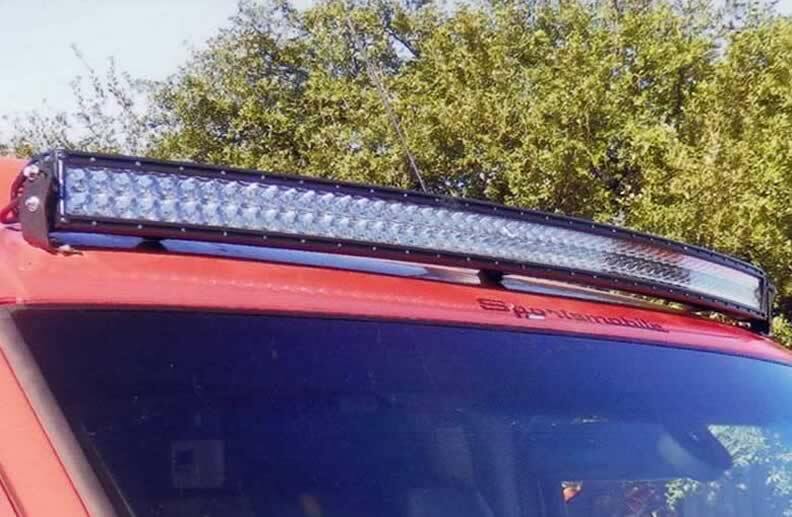 Helps protect van hood from road debris. Will not fade or chip. Panel coating is also available. Features: The snorkel’s top funnel acts as a highly efficient water separator to remove rain water from the incoming air stream. Ensuring safe engine operation through even the most torrential tropical storms. 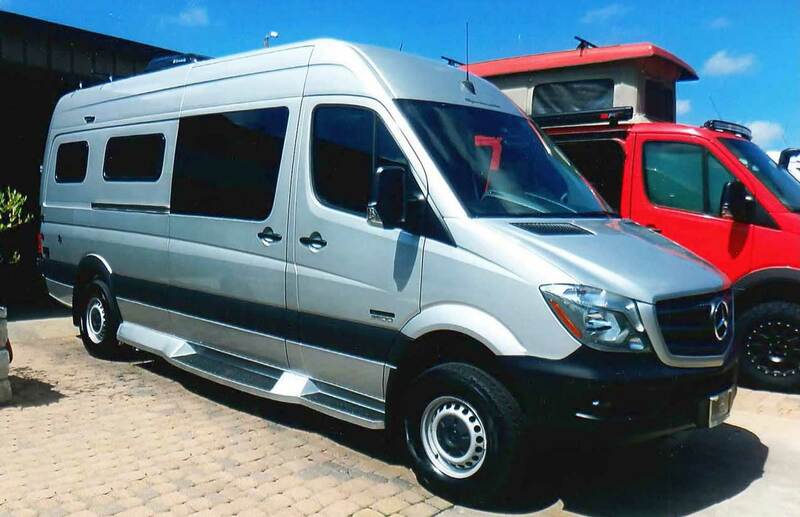 Available to increase the upper width of Sprinter vans from 70″ to 76″. 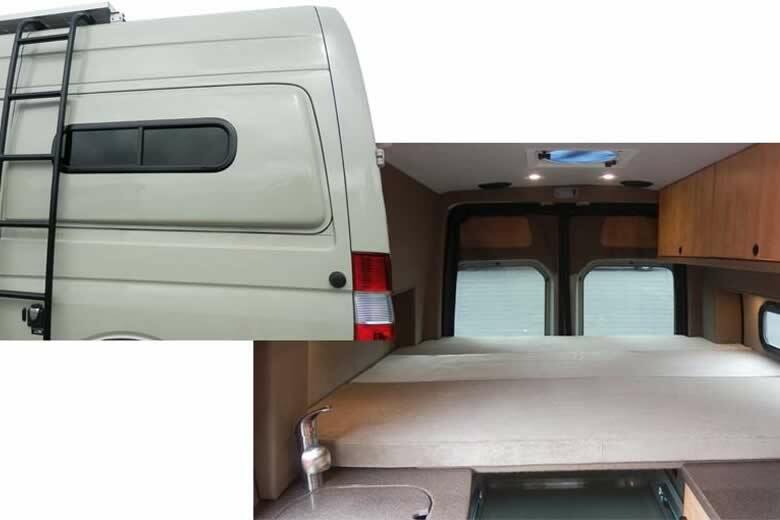 Inside finish size is 22″ X 60″ for RB vans and 22″ X 44″ for EB & LB vans. Painted to match van. Sliding window (o). Note: Sets of 5. Size and appearance may vary. Will increase van height about 1″. 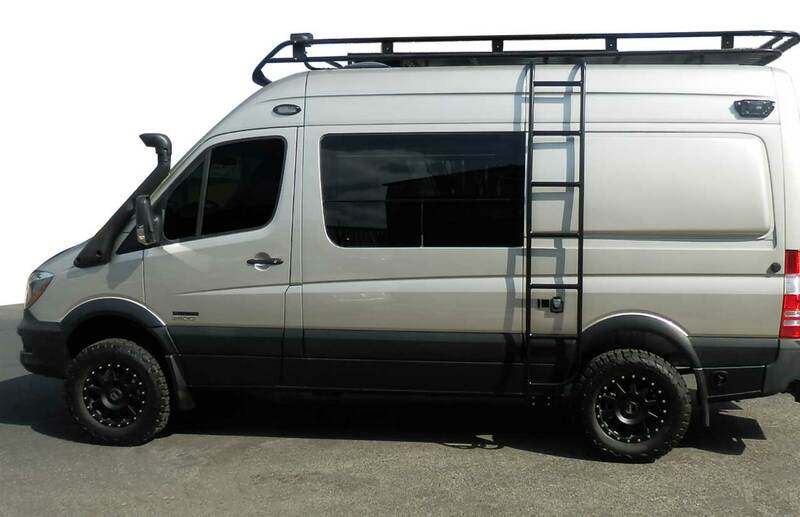 Spare tires cannot be mounted on Sprinter Vans rear doors. 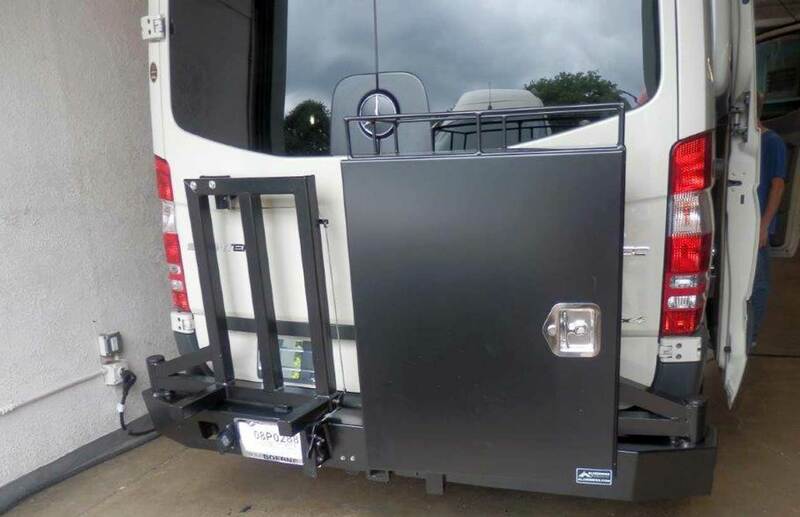 A swing away tire mount can be installed to the Sprinter frame. 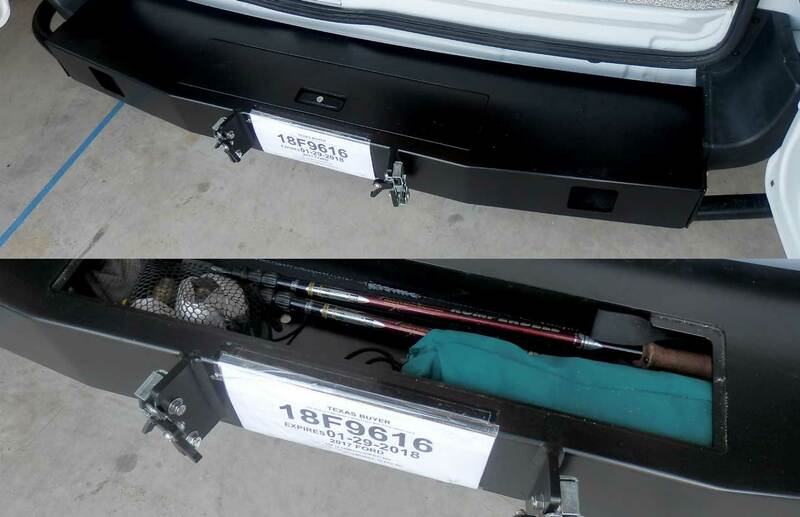 A license plate relocation bracket and light is included. 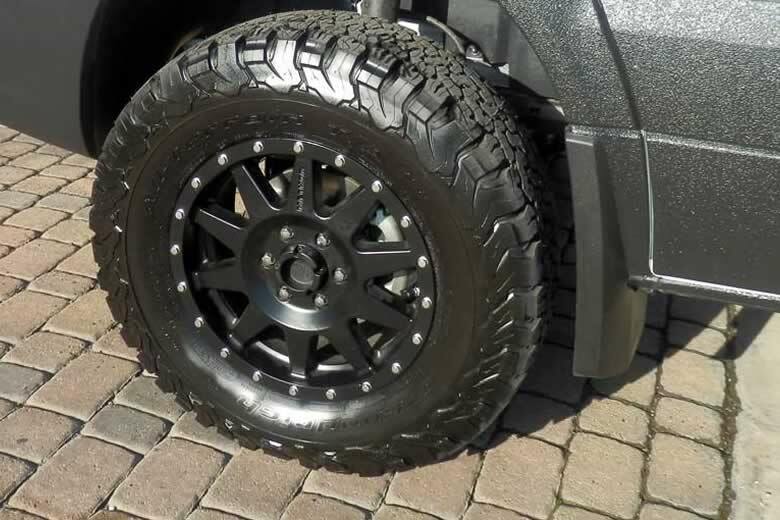 Vinyl or aluminum covers are optional and will not fit larger tires. 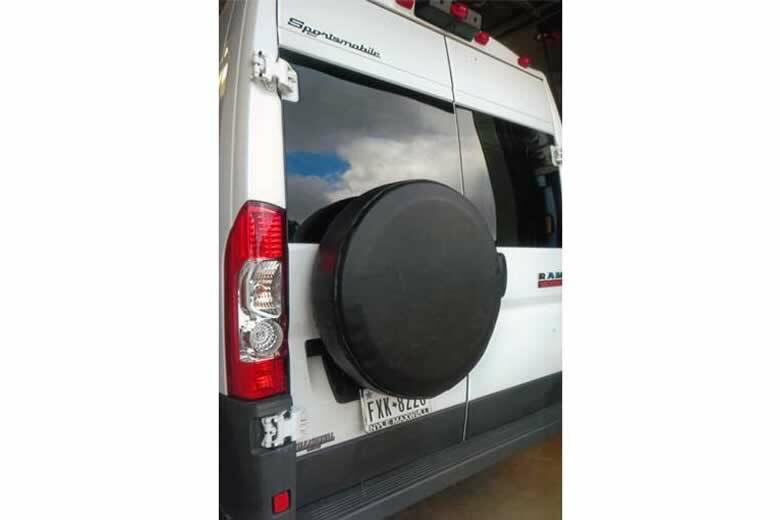 Spare tire mounted under the van can be mounted on the door. This will allow space under the van for a storage box or other items. An Aluminess swing away tire mount is available for Sprinters. 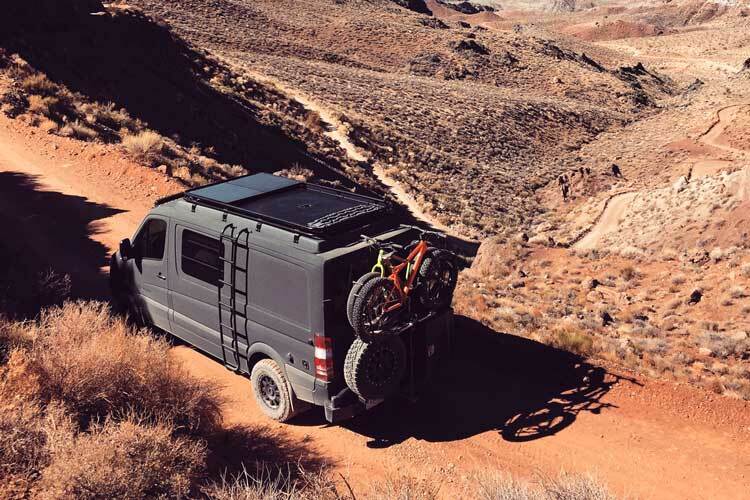 Features: Roof racks for high roof vans are longer. Designs may vary. 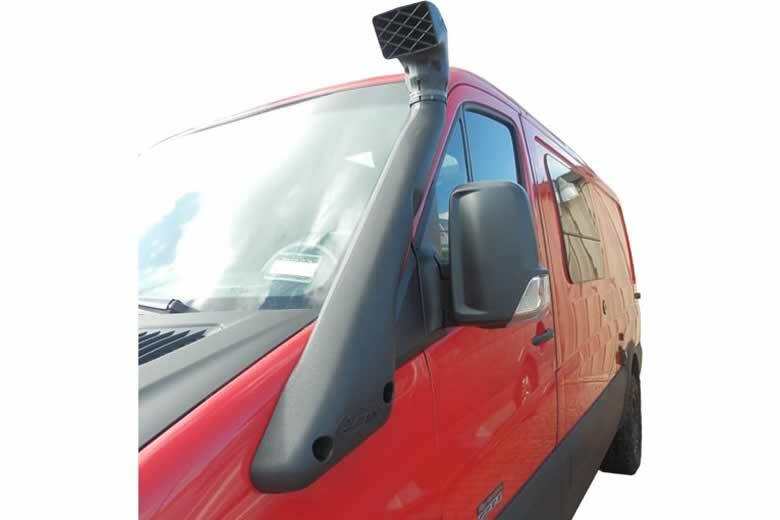 Side ladder for high roof van. Features: Built to your specifications. Above shown with slat flooring and cross bars. Solar panels, attic fans, and other items can usually be accomodated. 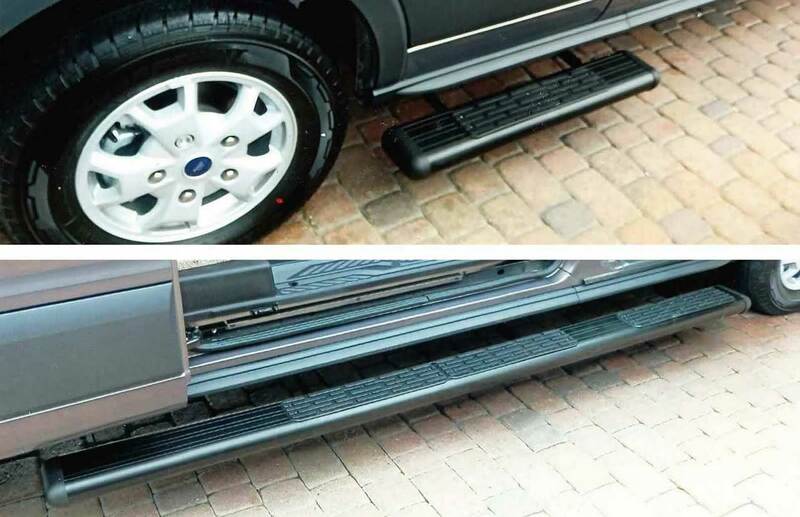 Features: Works especially well for the height of 4×4 vans to retain ground clearance. 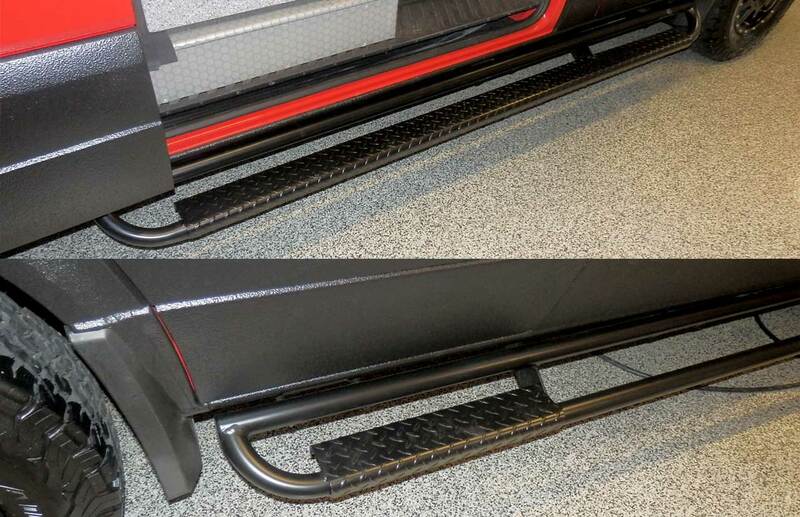 Also see Sportsmobile running boards and step options. Features: Constructed to receive L&R swing-away arms for boxes | Left side arm is included for a spare tire or box | One swing away arem is included with all boxes | Sensor holes can be drilled upon request. Boxes and lights (o). Features: Includes locking storage compartment. Note: Aluminess sometimes changes their products, specifications, and designs. See their website for the latest information.